There’s nothing more sacred or precious than the love of a father for his child! The roles of a father are many-faceted: when a man finds the person he knows that he can spend his life with; when he’s nervous, fearful, and full of joyous anticipation for the arrival of his child into this world! Then, the arrival, the delivery — the beginning of life never being the same and looking into the eyes of this new person you had a role in creating! Later come the tough decisions that are all part of the development and growing up process for both children and parents. It’s during those most crucial formative years that count for cementing the bonds of safety and trust that children need to navigate best and maintain their balance in the world. We’re going to introduce eight ways that a new dad can help facilitate this bond in simple little ways. We’ve all had classic scenario of dads playing catch or participating in tea parties! All well and good, and may even come later! Let’s begin at the beginning! This is the most basic form on bonding for a dad! Research has shown that children already know the voice of their father while still in the womb. Once they’re in this world, they have the opportunity to actually “meet” you in person! To feel the warmth of your chest and arms, and to feel the resonance of that voice that they already know! It helps infants to adapt to their environment more easily. It also helps in an infant’s mental development — soothing your child by lowering heart rate, improving oxygenation, and lowering the rates of stress and cortisol to induce a more sound sleep. You read it right! Sing to your kid! Think you can’t carry a tune?! Doesn’t matter! Doesn’t even matter what song it — though, we suggest that you at least keep it rated PG! You remember how it is when you’re singing in the car by yourself with the radio up! Or, when you sang to your wife when you were still dating. Even just humming softly a little nursery rhyme you can remember makes all the difference! Also, don’t forget to lock eyes while doing this. Your child is taking it all in and downloading the sensations for later emotional recall. We know that it doesn’t rate very high on the “coolness” factor, but you kinda forfeited that when you signed up for this dad-role-thing! Don’t worry, we know you can rock this! Besides, didn’t you ever just feel a little jealous of your partner when she was pregnant?! All that time with the baby carrying them around! Nothing really compares to that, but this can be a good second best! Keeping your baby close to your body as you go about your daily routines like make them more comfortable with unfamiliar noises in a strange environment, as opposed to being more isolated in a stroller or car seat. While we know that your baby doesn’t have the intellectual ability to comprehend what you’re reading, the sound of your voice speaking in different pitches, intonations, and moods can have a calming effect. It can get a rhythmic response from your child; the tone of your voice may introduce an emotion; and it exposes them to new visual stimuli. As they develop, seeing this as an example of you, they will start to mirror and see reading as a desirable activity. It promotes a quicker facility with language and doubles the rate at which your child may adopt a more expansive vocabulary. One tried and true way is to come down to your child’s level! We mean literally! Just get on the ground and crawl around with him or her. Lay on the ground and get a baby crawling on your chest, your arm, exploring your body on their own. 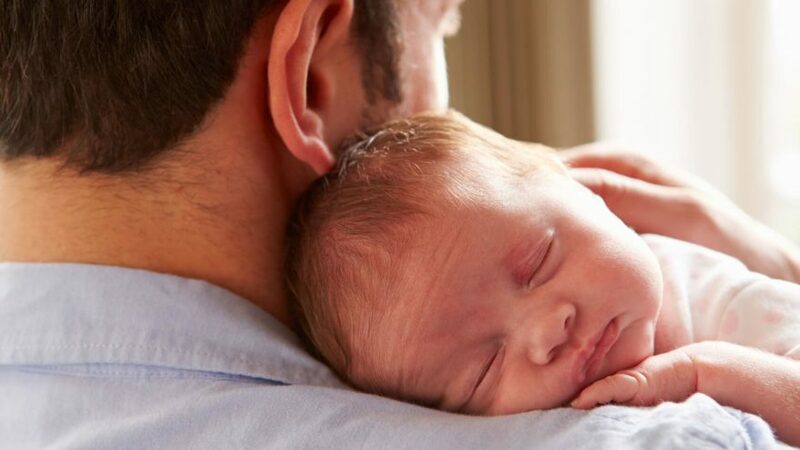 When you’re on the ground, face-to-face, toe-to-toe, elbow-to-elbow, it adds a more humanizing and less monolithic effect to your baby’s experience of you as a father. Then, speaking in baby talk let’s them know you’re definitely on the same page. This one is related to and can be combined with number 5! 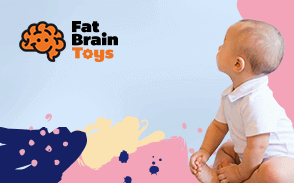 Play games with your baby, either on the floor, in a walker, high chair or baby carrier! We all know the classic games that have been passed down — peekaboo, got your nose, and so on! But, it doesn’t have to remain within that realm! You can use drawings, or cards, or even introduce music that can involve picking up your child and doing silly dances! Yet another spin-off! Taking what we’ve learned about silly games from number 6, we can understand the importance of movement and motion to your infant! Oddly enough, the motion triggers a greater sense of safety and security for them. This is the after-effect of what they experienced in-utero from the swaying motion of their mother’s hips. If you can make your baby giggle during any of these activities, you have won! It will strengthen their spatial awareness, as well, which is all around a winning situation! The last one is pretty basic but fundamental! Take naps with your baby when, and if, there is an appointed nap time. Nothing is more calm or soothing than hearing another person gently breathing next to you. The breath of you both will become naturally synchronized, heart rate will lower for deep sleeping and you will both get the maximum benefit in bonding through a shared experience. In conclusion, these are the eight ways we came up with to get the most out of bonding with your infant as a new dad! There are many more we could enumerate, but that would take another article! Till then, on to future challenges and adventures in baby-bonding!